Halloween Hair Fundraiser — Thank you, Aveda Institute! The Aveda Institute is holding a hairy fundraiser that will benefit the UNM Cancer Center. 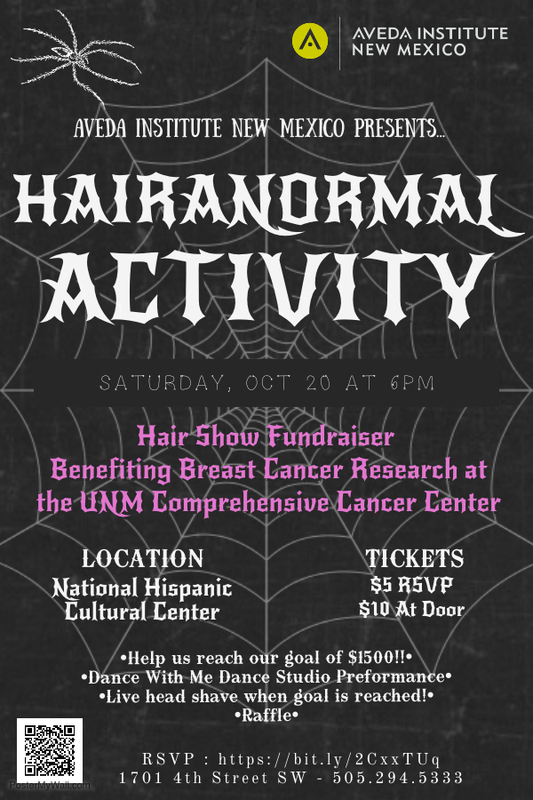 Get your dose of "Hairanormal Activity" on Oct. 20 at the National Hispanic Cultural Center. RSVP for $5 tickets or pay $10 at the door.